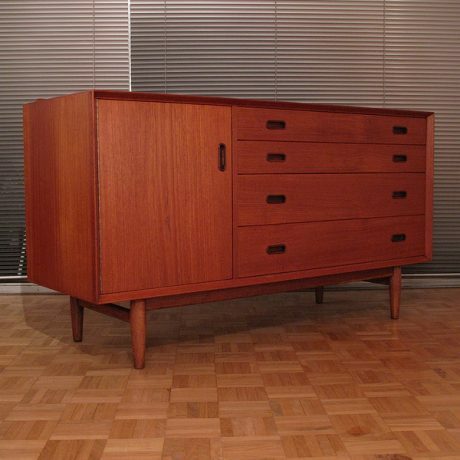 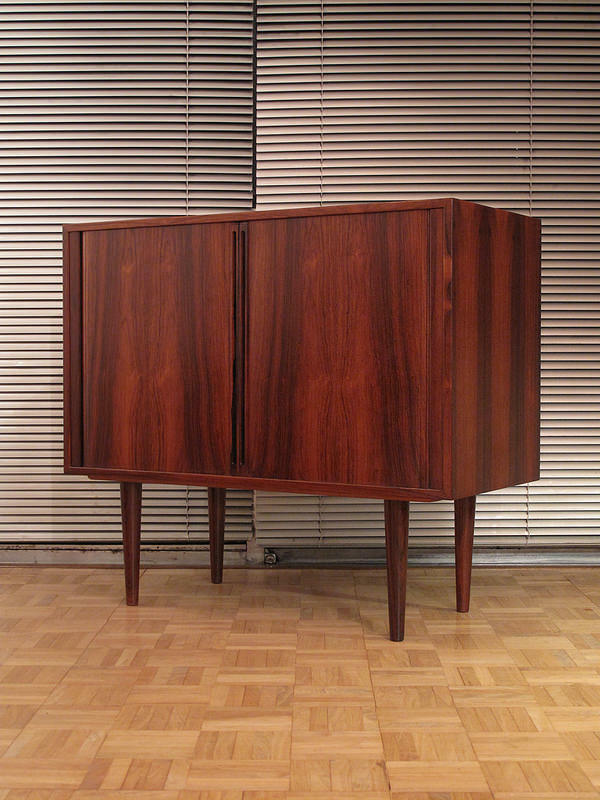 Charming and beautifully crafted cabinet designed by Kai Kristiansen for Feldeballes Mobelfabrik, Denmark. 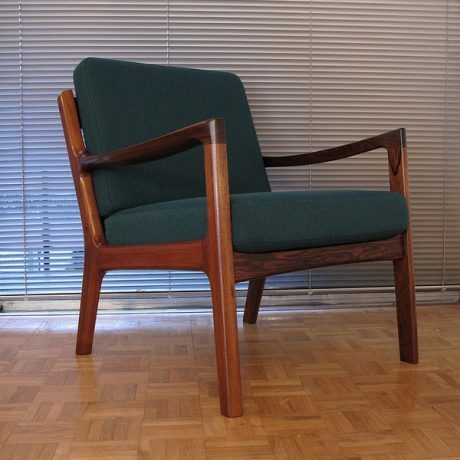 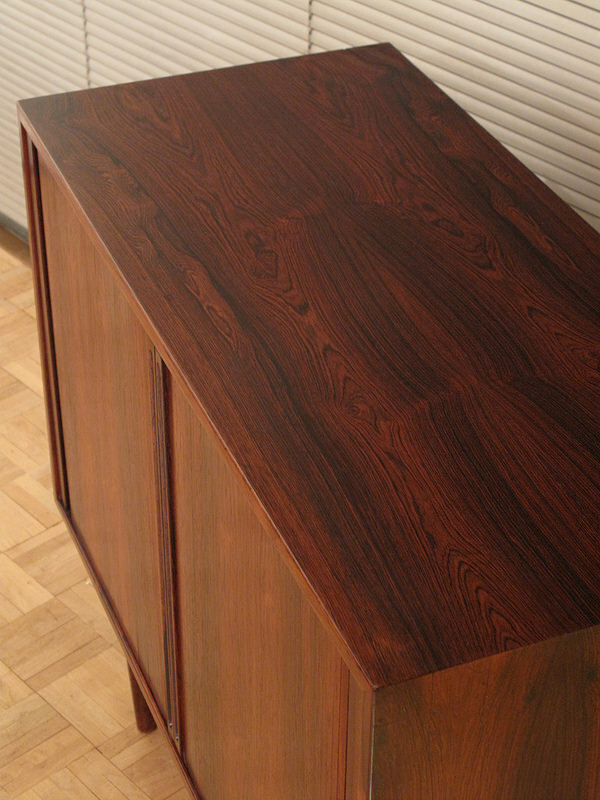 Executed in Brazilian rosewood. 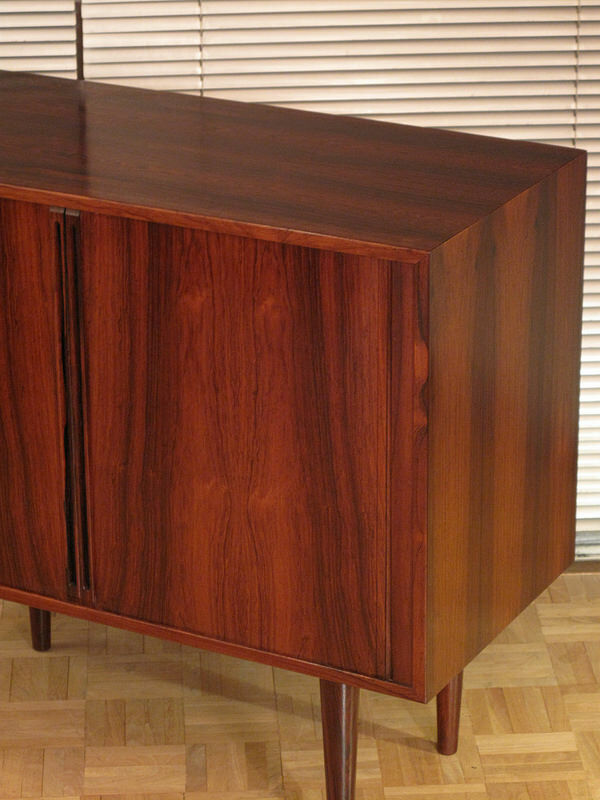 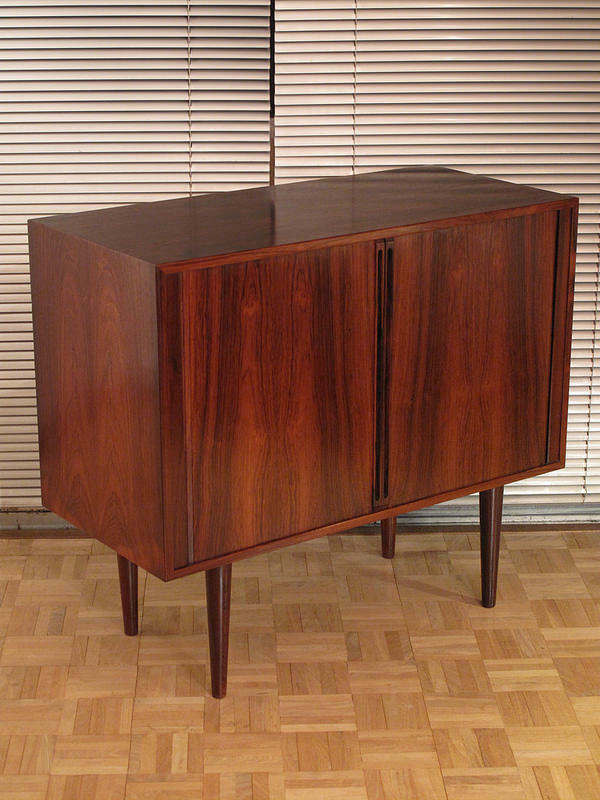 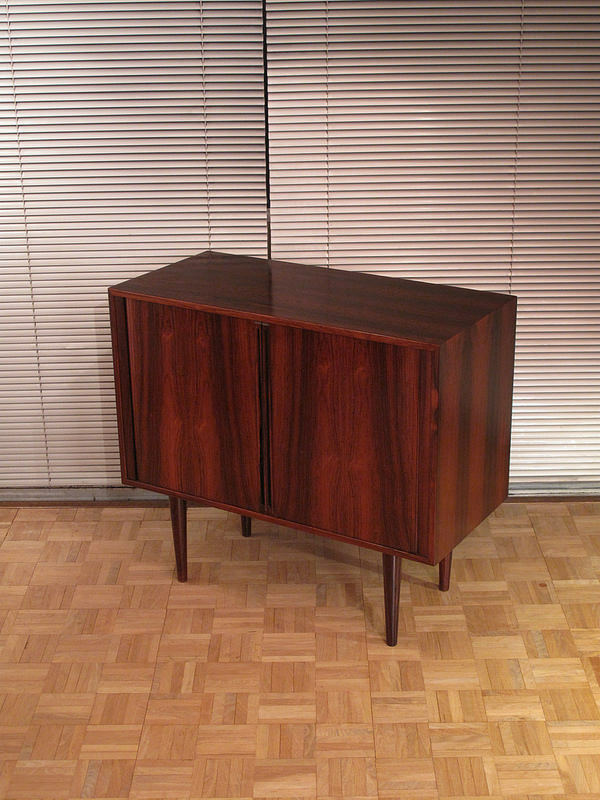 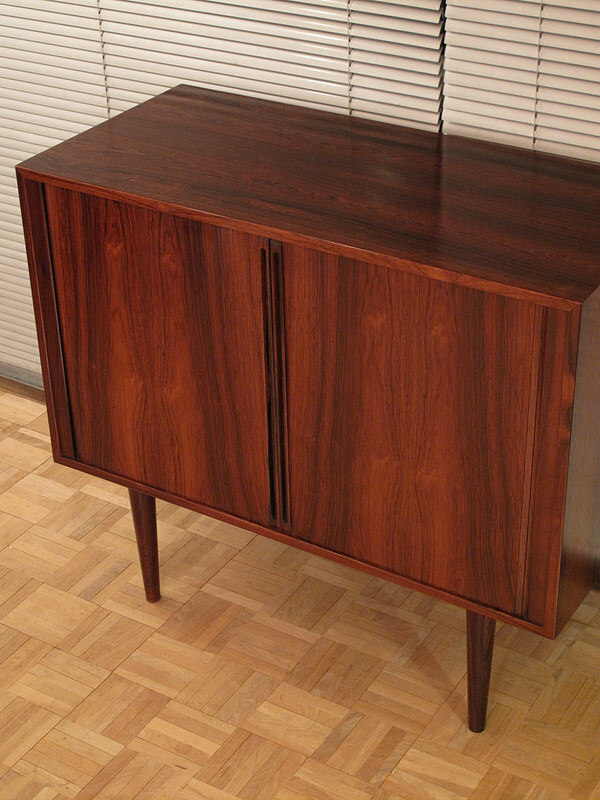 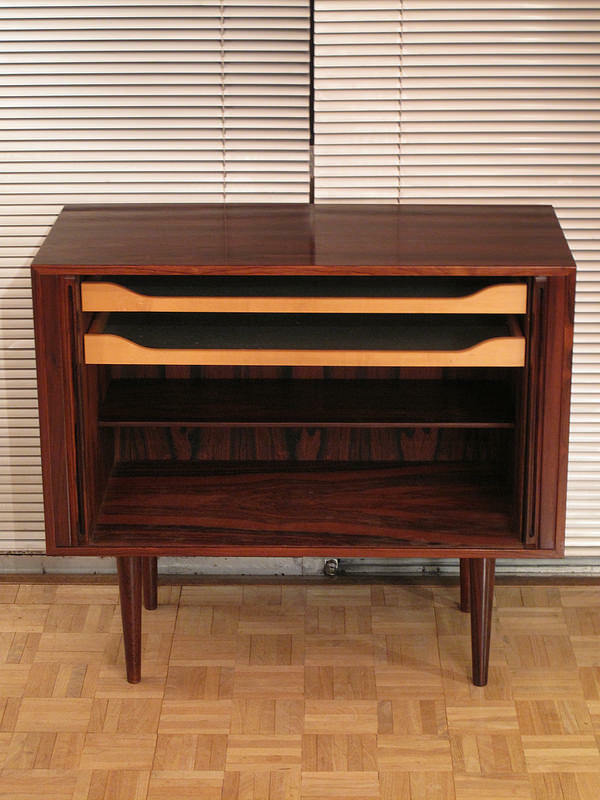 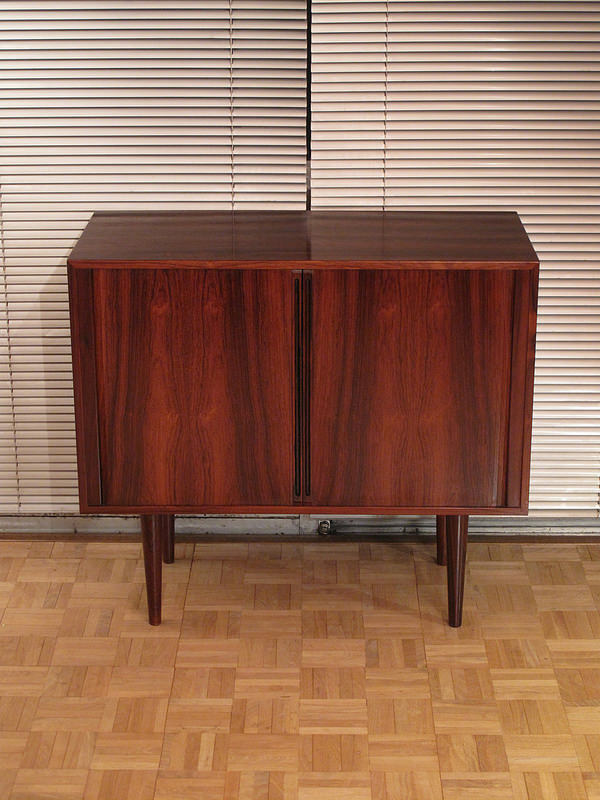 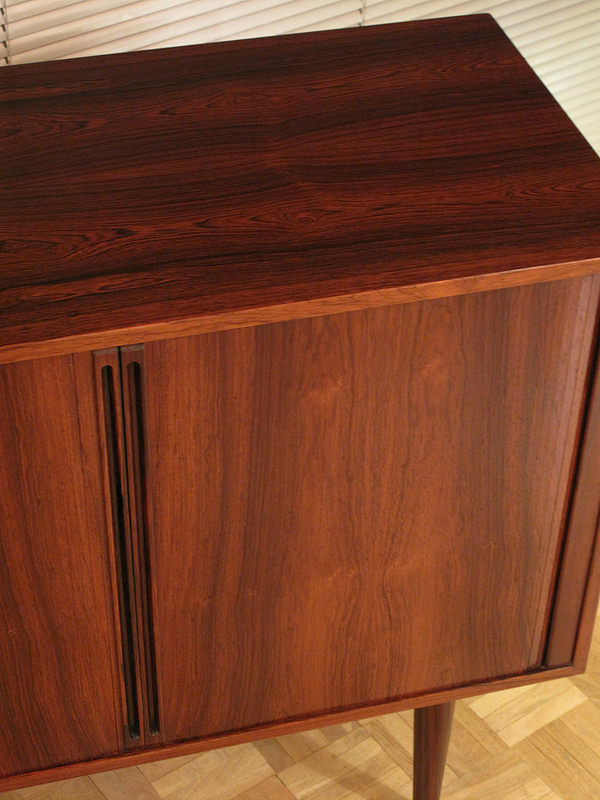 Behind the tambour doors is an interior also finished in rosewood with two felt lined trays and an adjustable shelf. 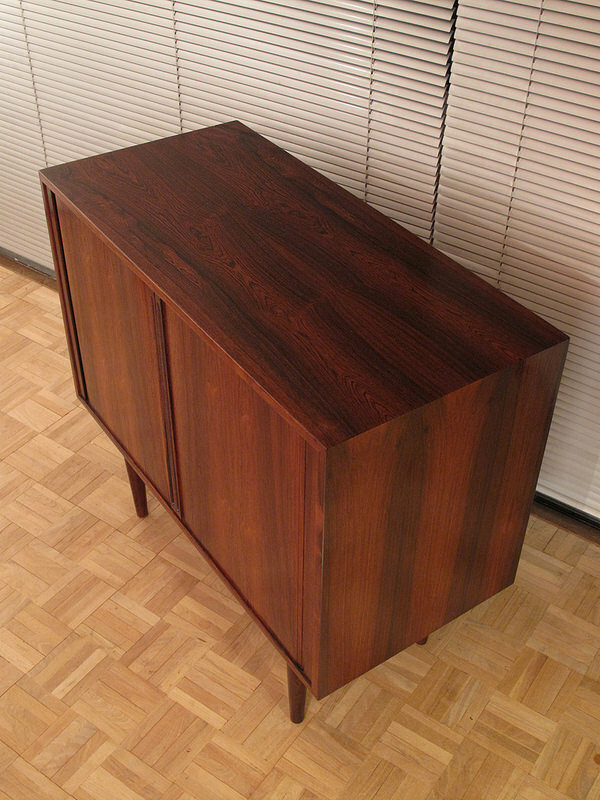 DIMENSIONS: 85.5cm Long x 76cm High x 40cm Deep.